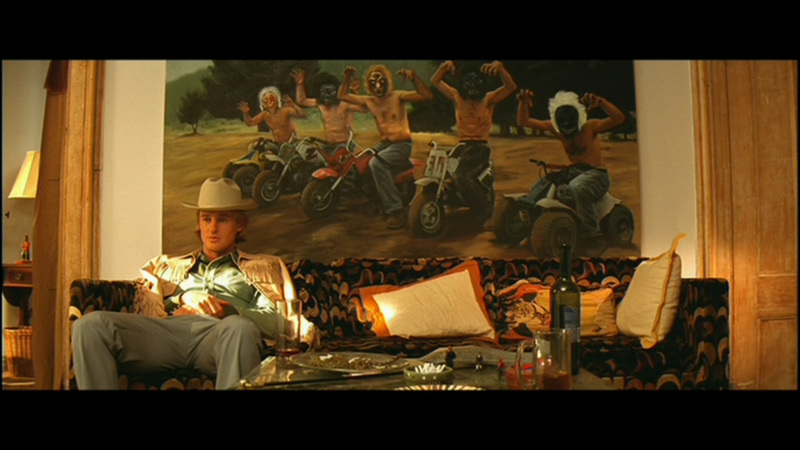 14 Fun Facts About Wes Anderson's "The Royal Tenenbaums"
1. Both Anjelica Huston and Gene Hackman turned down their roles until additional scenes providing more character depth were written specifically for them. 2. The monster-masked men paintings in Eli's apartment are attributed to Mexican artist Miguel Calderón and were part of his 1998 exhibit "Aggressively Mediocre/Mentally Challenged/Fantasy Island"
Though they were not actually painted by him. Calderón took photographs of his friends posed on motorcycles and, after deciding the photographs were not realistic, hired a portrait painter to reproduce them on canvas. 3. The idea of Margot losing part of her finger was originally written for the character of Margaret Yang in Rushmore. 4. 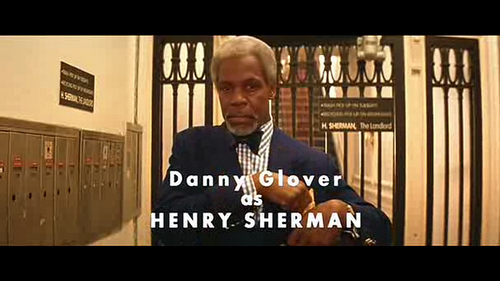 The character Henry Sherman was named after Wes Anderson's landlord. 5. The name "Buckley" for the dog came from singer/songwriter Jeff Buckley. 6. Although the exteriors were largely shot in New York, Wes Anderson intentionally avoided virtually all shots of skyscrapers or other distinctive New York landmarks. In one scene, Royal and Pagoda are talking in Battery Park (on the southern tip of Manhattan) and Anderson intentionally had Kumar Pallana (Pagoda) stand directly in front of the Statue of Liberty so it wouldn't show up in the shot. 7. Scenes aboard Richie Tenenbaum's (Luke Wilson) yacht were filmed aboard the U.S. Merchant Marine Academy training vessel Kings Pointer, based in Kings Point, New York. 8. 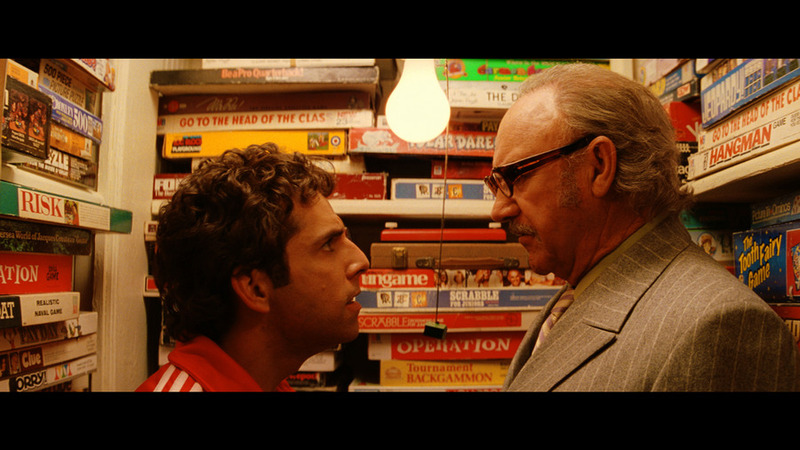 Wes Anderson wrote the part of Royal Tenenbaum with Gene Hackman in mind. 9. The name "Ari" is taken from the nickname of musician Nico's son. Nico also has two songs on the film's soundtrack. 10. The original hawk used to play Mordecai was kidnapped during shooting and held for ransom. Production could not wait for him to be returned which is the reason that the bird that appears later in the movie has "more white feathers" — it's a different bird. 11. The spots on the dalmatian mice were created using a Sharpie pen. 12. The hand that is seen with the BB lodged between its knuckles is not Ben Stiller's, but Andrew Wilson's, brother of Owen Wilson and Luke Wilson. When they were children, Owen fired a BB gun at Andrew's hand and the pellet has been there ever since. 13. Danny Glover, Luke Wilson, and Owen Wilson all turned down parts in Ocean's Eleven to appear in this film. 14. Inside the board game closet, when Chas yells at Royal, you can see a green Monopoly house at the end of the light pull chain. Find more fun facts at IMDB.